The first national treatment guideline for sudden hearing loss, a frightening condition that sends thousands in the U.S. to the emergency room each year, was published this month in the journal Otolaryngology–Head and Neck Surgery. The guideline was developed by a 19-member panel led by Robert J. Stachler, M.D., an otolaryngologist in the Department of Otolaryngology-Head & Neck Surgery at Henry Ford Hospital in Detroit. By focusing on opportunities for quality improvement, the guideline should improve diagnosis, reduce unnecessary tests and imaging procedures, and improve hearing for patients affected by sudden hearing loss. The first national treatment guideline for sudden hearing loss, a frightening condition that sends thousands in the U.S. to the emergency room each year, was published this month in the journal Otolaryngology–Head and Neck Surgery. The guideline was developed by a 19-member panel led by Robert J. Stachler, M.D., an otolaryngologist in the Department of Otolaryngology-Head & Neck Surgery at Henry Ford Hospital in Detroit. “In most cases, patients will have multiple visits with several physicians and undergo extensive testing before a diagnosis is made. There’s also been a lack of one or more uniformly accepted treatments, or a consensus on how to counsel patients who do not fully recover their hearing,” says Dr. Stachler. The diverse panel of medical experts – which included Henry Ford’s Kathleen L. Yaremchuk, M.D., chair of the Department of Otolaryngology-Head & Neck Surgery, and Christopher A. Lewandowski, M.D., a physician in emergency medicine – developed the guideline after reviewing the literature and reaching a consensus for patient diagnosis, management and follow-up care. Causes of sudden hearing loss range from infection and trauma to inner ear problems like Meniere’s disease. Recommendations to help clinicians distinguish conductive hearing loss from sensorineural hearing loss in patients with sudden hearing loss. Both are common causes of hearing loss, but they have very different treatment strategies. Information to better educate patients about the benefits and risks of medical intervention. A range of amplification and hearing assistive technology available to those patients with incomplete recovery of hearing. Recommendations against clinicians ordering computerized tomography (CT) of the head/brain as part of the initial patient evaluation. The guideline is intended for all clinicians who see adult patients, ages 18 and older. In addition, the guideline covers sudden sensorineural hearing loss (SSNHL), a subset of sudden hearing loss. About 4,000 new cases of SSNHL are reported in the U.S. each year. While most patients recover completely without medical intervention, about 15 percent of those with SSNHL experience hearing loss that gets worse over time. The complete guideline is published as a supplement to Otolaryngology-Head and Neck Surgery, and is available online at http://www.entnet.org. 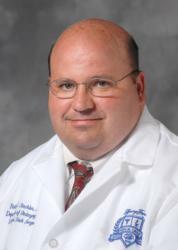 To learn more about the Department of Otolaryngology-Head & Neck Surgery at Henry Ford, visit http://www.HenryFord.com. Along with Drs. Stachler, Yaremchuk and Lewandowski, the guideline's authors are Sujana S. Chandrasekhar, MD,; Sanford M. Archer, MD; Richard M. Rosenfeld, MD, MPH; Seth R. Schwartz, MD, MPH; David M. Barrs, MD; Steven R. Brown, MD; Terry D. Fife, MD; Peg Ford; Theodore G. Ganiats, MD; Deena B. Hollingsworth, RN, MSN, FNP;; Joseph J. Montano, Ed.D; James E. Saunders, MD; Debara L. Tucci, MD, MS; Michael Valente, PhD; Barbara E. Warren, Psy.D, M.Ed; and Peter J. Robertson, MPA.